Divi by Elegant Themes ships with a ton of awesome features, but sometimes you just want to edit the CSS Code to suit your requirements. Firstly, we recommend always using a child theme and place your customisations in your child style.css file. To create a child theme we recommend using this Child Theme Builder freely available on divi.space. 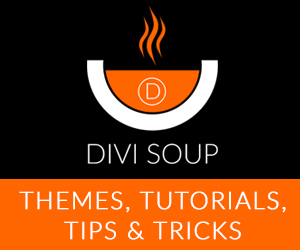 Whilst I haven’t written tutorials on the code below, if you are comfortable using custom CSS and child themes then feel free to use some of the snippets below to customise your next Divi site. [UPDATE] The CSS code below was used on legacy Divi 2.3 version and all snippets are untested on any newer versions. I used this code to create a grey box around text in slider. Now, the slides are no longer responsive. On iphone, only left part of image appears. Hi Stephane, try adding this css to your child theme style.css. Hi, Amy! I need to hover the links on this website’s sidebar http://www.olfomed.com/en/about-us/ , It is built on Divi and with Divi builder. I tried to add a.hover to child theme CSS but it didn’t work. Please give your advuce! Do you know how to change the light and dark default colors from Divi? I found this in the ET Support Forums. Add to your child style.css or the ePanel Custom CSS box. Ooh thank you Amy. Footer info font weight and colour CSS is exactly what I was looking for!! Please help! I’m trying to increase the width of the dropdown on my primary menu without removing the css that makes the “Donate” button orange. Tried a number of solutions I found via search with no luck. Love your snippets! You guys are professionals. So glad you put the time and effort into this blog. I need to learn more CSS.